Spotify Now Available in the U.S. Recently, I downloaded and joined Spotify – a streaming music service previously only available in the U.K. A cross between iTunes and Pandora, Spotify: manages your music, allows you to share music either via Facebook or by contacting other users within the community, and gives you instant access to pretty much any streaming music you want. A slick interface and scaled pricing plans, from free to premium, make Spotify an awesome choice for anyone looking to increase or digitize their music collection. While iTunes may still remain my player of choice for my own vast collection of tunes, Spotify will definitely be along for the ride to provide me with new choices and more variety. Check ’em out and get in line for a free account (though it comes with banner ads and minor in-stream audio ads). During an outing this week to free myself from the work grind, my girlfriend and I went to take a tour of the New Belgium Brewery in Fort Collins, Colorado. As major fans of the brew, we were very surprised and impressed to learn about their enviable business practices and cohesive brand. In addition to brewing some of the tastiest adult beverages in North America, the New Belgium brewery is built on a strong standard of sustainability and fun. After certain yearly intervals, employees of all rank gain stock in the company, ability to travel to Belgium and numerous other perks. The facility itself utilizes its own recycled water (processed at its own plant) for 15% of its energy consumption and even more via photovoltaic solar panels. Finally, all new product receives its own custom label hand-crafted by local artists. The facility itself boasted numerous multi-media art displays bringing even further aesthetic appeal. Man! where do I sign up? 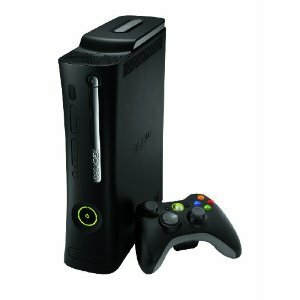 Recently, my XBOX 360 faced the dreaded red ring of death error and was rendered useless; much to my dismay on a bitter cold and low-work week. After weighing my options, I decided to just replace my existing XBOX with an older, yet slightly upgraded Elite model since stock of their new cheaper model was supposedly sold out until March. I have to say, transferring my data from the old XBOX to the new one was an absolute breeze. The original style hard-drives hot-swapped like a charm (just press a button to pop it out) and were easy to back up settings on a USB stick drive. Navigating through the menus to restore my settings, both user and Netflix, was equally easy. Like most folks, I put on a little extra poundage during the holidays and was looking for a good way to trick myself into exercising more. I had recently purchased a Nintendo Wii when a good Black Friday deal presented itself and figured I’d give the Fit and balance board a shot. I have to say, its worked out quite well. Opposed to summer when I spend my lunch time walking, winter I spend a lot of time right here in front of the computer getting an overwhelming lack of exercise. Not being much of a gym (or motivation) kind of guy, the Wii Fit has been a fun and easy way to force myself into getting a minimum amount of exercise while the weather remains gloomy. The activities are presented in a fun way that makes it seem less like a workout and more like a game, which is perfect for me. I’m happy to say I’ve lost my holiday weight (and more! ), reduced my waistline a bit and have much more energy in the afternoon from using my Fit around 30 minutes a day every day. Given its not a solution to drop a ton of weight nor will it get you in olympic shape, but if you’re having trouble motivating yourself to lose a few LBS, give the Wii Fit a shot! I don’t know if any of you are as big of a dork as I am, but if you are, I’d highly recommend checking out ThinkGeek.com. Not only is it a stellar example of visually stunning experimental web design and runs on a freebie open-source store system that I use myself, its a great source for clever and unique gifts for that geek who has everything.